In case you have not noticed, Apple iPad does not offer support for all foreign languages. So if you want to type in a certain foreign language, you are almost out of luck unless you find an app that lets you do just that. 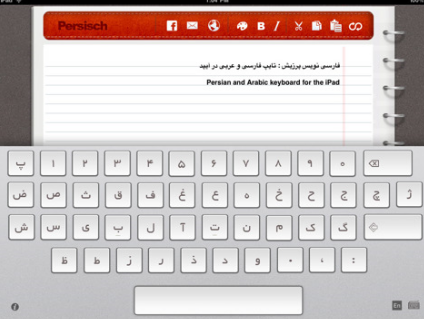 Persisch is a hand app for Persian / Arabic users that adds the appropriate keyboard to iPad and let them type in their favorite language without relying on Apple. 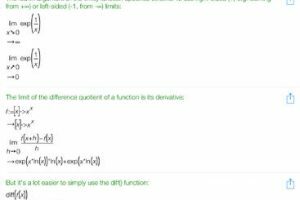 Persisch is pretty straight forward to work with. It adds a virtual notebook and Persian keyboard to your screen, giving you the opportunity to write “Farsi” to your heart’s desire. 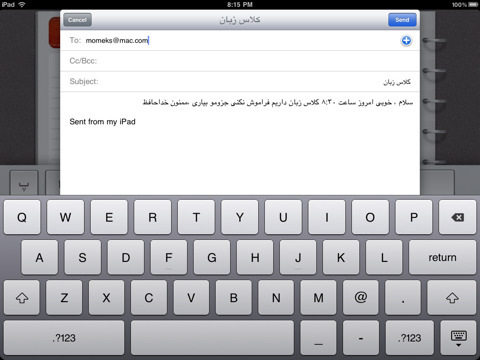 You can switch between Persian and Arabic keyboards by tapping on the keyboard icon. Once you are done with your writing, you can copy and paste it to other apps. 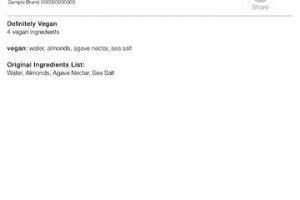 You can also search on Google or other search engines using Farsi words. Sending e-mails and updating Facebook is supported in this app. 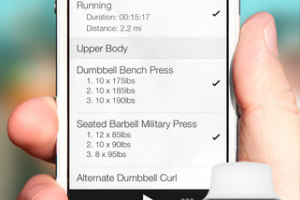 The interface is pretty solid and the app is very easy to get to work. It’d be nice if there were more ways to share and send content from this app. Having said that, Persisch does what it promises.